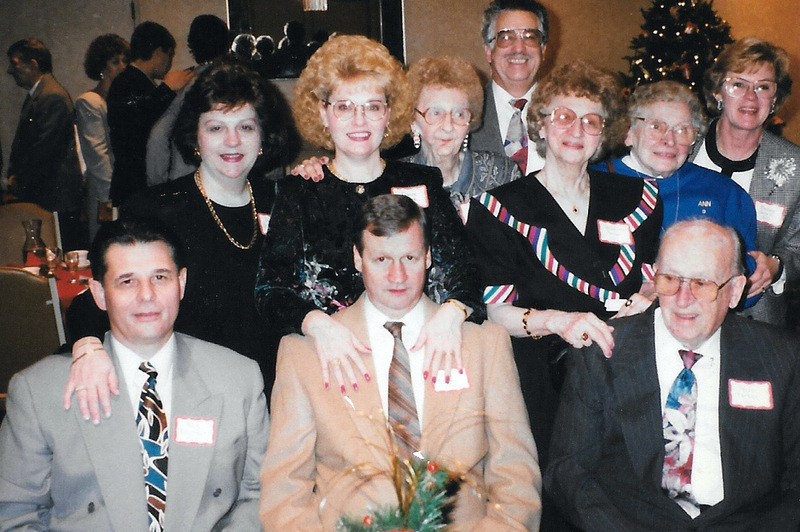 Group from Reunion 1992. Seated: Rick Eshelman, Art Young, Stephen Farkus. Standing: Sandra Farkus Eshelman, Elaine Young, Rita Genetti Young, Paul B. Genetti, Catherine Genetti Farkus, Ann McNelis, Barbara Genetti. Photo courtesy of Sandra Farkus Eshelman. Yes, the info for Reunion 2016 is finally up on our website! I have created an entire page just for our Genetti Family Reunion to be held October 7-9 in Hazleton, Pennsylvania. Our thanks to Bill Genetti for all of his hard work in scheduling this event! On this page you’ll find a weekend itinerary for our gathering of Genetti descendants, a reunion reservation form and info on special room rates for area hotels. Plus we have a unique way for everyone to participate in Reunion 2016. Whether you plan to attend or can’t make the trip, you can still be a part of the festivities by completing our online descendant questionnaires. Created by Bill Genetti, the two forms are a fun way to share family history and add to our growing Genetti archive. They can be completed by any Genetti descendant here in the United State or elsewhere – as long as your family roots originated in Castelfondo, Italy (Tyrol). Make sure to check the Reunion News page for future updates to programs, etc. You can find “Renuion News!” at the top of every page on our website through a link in the primary menu. I’ve also added a link to this page in our website’s right hand column along with a nifty calendar countdown to reunion weekend. Click here for the direct link to Reunion 2016: A Gathering of Genetti Descendants. I look forward to receiving your Descendant History Questionnaires. Let me know if you have any questions and I hope to see all of my cousins in October!